MUNICH - March 20, 2019: BMW consistently continues to pursue the brand’s current model offensive whilst developing an innovative vehicle concept for the premium compact segment. 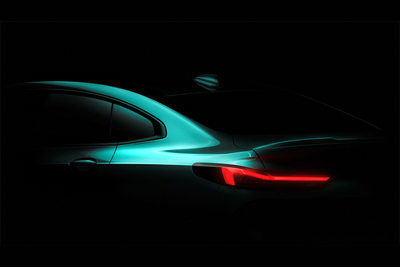 During the annual results press conference, BMW AG CEO Harald Krüger will announce the presentation of the first BMW 2 Series Gran Coupe. With the sporty and elegant four-door coupe, the premium automobile manufacturer is adding to its range in the compact segment a particularly design-oriented model for modern, urban target groups. The concept of a four-door coupe, already successful in higher vehicle classes, will in future combine a dynamic charisma and an expressive design with a high degree of everyday suitability also in the premium compact segment. The first BMW 2 Series Gran Coupe will make its word debut at the Los Angeles Auto Show in November 2019, with the worldwide market launch beginning in the spring of 2020. The values are already based on the new WLTP test cycle and are translated back into NEDC equivalent values in order to ensure comparability between the vehicles. With respect to these vehicles, for vehicle-related taxes or other duties based (at least inter alia) on CO2 emissions, the CO2 values may differ from the values stated here (depending on national legislation).